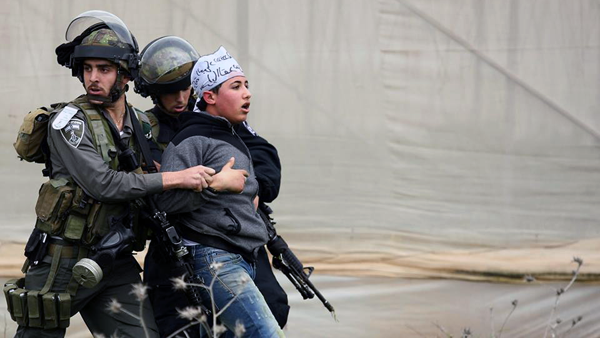 A Palestinian youth is detained by Israeli forces in the occupied West Bank during 2013. File Photo. At the end of March, a total of 202 Palestinian children were imprisoned and prosecuted in the Israeli military court system, a decrease of 12 percent over February. The number of young children detained between the ages of 12 and 15 was 24, a decrease of 33 percent from February. In March, DCI-Palestine highlighted the case of Ali Shamlawi, a Palestinian teenager who confessed to throwing stones after he was tortured in Israeli custody. He has been in detention for over a year and neither his lawyer, nor his family know when a verdict will be reached. He faces attempted murder charges and a severe prison sentence. The United Nations Human Rights Council held its 2014 annual full-day meeting on the rights of the child on March 13 with the theme of access to justice for children. 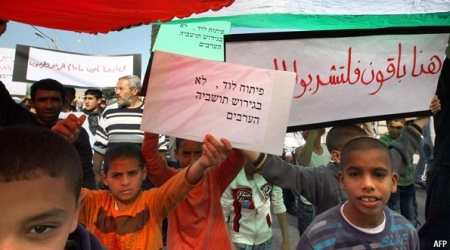 During the discussion, several references were made to the widespread and systematic ill-treatment of Palestinian children in Israeli military detention. For a summary of the discussion, click here. 68% of Israelis support the decision of Israeli occupation government to halt peace talks with Palestinian Authority following its unity pact with Hamas, a poll revealed Wednesday. The Guttman Center and Evens Program for Conflict Resolution at Tel Aviv University (TAU) conducted the poll, a monthly "Peace Index" part of the Israel Democracy Institute. According to the poll [PDF], 68% of Israelis supported the Israel's decision to curtail talks with the PA, but the results were heavily polarized by political affiliation. Of respondents who answered that they supported the move, 82% identified as "right-wing," 59% identified as "moderates" and only 26% identified themselves as "left-wing." Israelis are also heavily divided on what stalled peace talks mean for Israel's future. Of respondents, 63% to 41% believed that the talks could be harmful to Israel in the short-term rather than in the long term. 57.5% of them believed that the Hamas-Fatah reconciliation pact endangers Israel security - the same percentage of people who disagree with the EU's notion that PA Chairman Mahmoud Abbas's involvement makes the agreement more inclusive and, therefore, more legitimate. 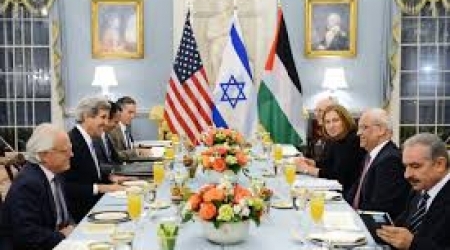 56% of Israelis believe US President Barack Obama is "incorrect" for assigning blame to both Israel and the PA for the failure of talks, according to the survey. However, of those, respondents are widely polarized by political affiliation; 70.5% of self-identified "left-wing" respondents agreed with Obama's assessment, compared to 54% of "centrists" and just 27.5% of "nationalists." 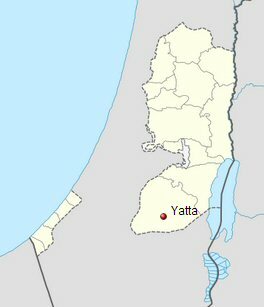 The Taub Center for Social Policy Studies in Israel is an independent, non-partisan, socioeconomic research institute based in occupied Jerusalem. Wadi al-Hilweh Information Center has warned of the Israeli unprecedented escalation against al-Aqsa Mosque during April carried out by Israeli occupation forces and settlers. During Passover holiday, Israeli settlers escalated their break-ins and violations in al-Aqsa Mosque in order to offer sacrifices and other rituals. Dozens of Jerusalemite youths maintained vigil in the mosque’s courtyards to confront the invading settlers. 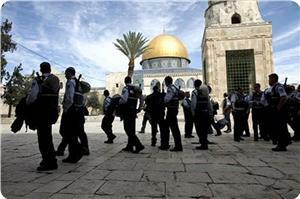 During April, heavily armed Israeli security forces stormed al-Aqsa Mosque on three occasions. Moreover, 70 Palestinian worshipers were injured during April after being directly attacked by Israeli forces who heavily fired tear gas bombs and pepper spray. During their attacks, the Israeli forces deliberately damaged al-Aqsa mosque facilities, including its windows, carpets and marble pillars with bombs and bullets. 1,300 Israeli settlers and forces stormed al-Aqsa Mosque in April including the extremist MK Moshe Feiglin who broke into its plazas twice. On the other hand, Israeli authorities have banned during April the entry of 70 Jerusalemites into al-Aqsa Mosque and its vicinity for different periods of time from two weeks to 6 months including 2 women and more than 20 minors. 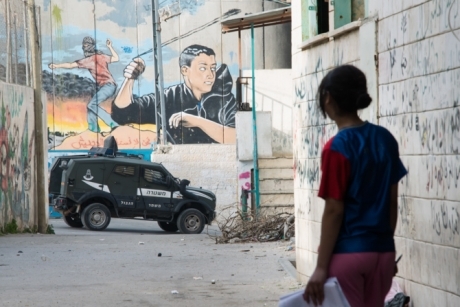 The report indicated that 135 Palestinians were arrested in occupied Jerusalem during April including two women, a female student, and 25 minors. The arrests were mostly carried out in Jerusalem's Old City and Issawiya in addition to al-Aqsa Mosque's gates. 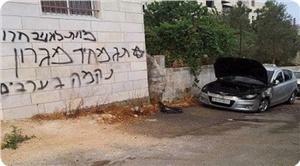 Wadi Hilweh Information Center said that Price Tag attacks have been committed during April against Jerusalemites and their properties. Meanwhile, Israeli occupation forces suppressed late last April a peaceful demonstration outside the Hebrew University against the recruitment of young Arab Christians. Three of the protesters were detained. Israeli bulldozers demolished a home belonging to the Jerusalemite citizen Abu Omar Muslimani in Hardob neighborhood over an area of 60 square meters. In April, the Israeli District Committee for Planning and Construction approved the establishment of the Kedem Compound, the City of David visitor center, located in the Mughrabi Gate at the entrance to Silwan village. The West bank city of Hebron witnessed the most vicious arrest campaigns during the last month, a report by Prisoner’s Club society stated. 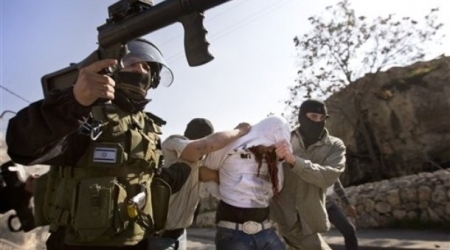 100 Palestinians were arrested and the imprisonment of 35 prisoners was extended. The society said that Israeli Ofer court punished some of the prisoners by fining them a exorbitant amounts of money reached in some cases to 25,000 NIS. The society called on all human rights organizations to expose the crimes occupation commit against Hebron. 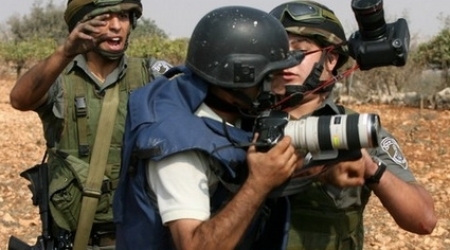 Palestinian Center for Human Rights (PCHR) said ‘Israel’ committed 135 violations against the Journalists across the occupied Palestinian territories during a quarter and one years. The center in a report issued on the ''World Press Freedom Day'' said a significant increase in press violations by the occupation military apparatuses has marked the period between January 1, 2013 and 31 March, 2014. They were varied between the violation of the right to life and personal safety of journalists, beatings and other means of violence, humiliation and degrading treatment, the report pointed out. 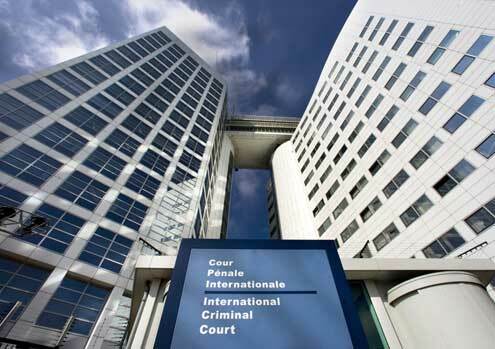 The center also spotted 39 firings by the Israeli forces that resulted in the injury of 31 journalists, 22 cases of beating or degrading treatment, 46 cases of arrest and detention, 15 cases of preventing journalists from reporting human rights abuses, 9 cases of seizures of equipment, press ID cards, or news materials, and 4 cases of home raid. With these stats, the overall attacks and violations carried out by the Israeli occupation ever since the First Intifada – which sparked on September 28, 2000- rose to 1641, the sencer confirmed, saying that dozens of attacks could not be documented. UNESCO World Press Freedom Day on 3 May has been for many years a rallying point for journalists, campaigners and human rights activists to raise awareness about the need for media freedom and the right to free expression.